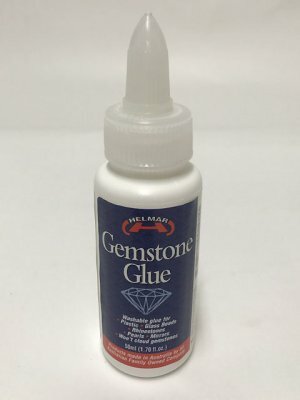 Helmar Gemstone Glue is a water based washable glue for plastic and glass beads, rhinestones, pearls, mirrors. It will not cloud gemstones. Also ideal for scrapbooking applications.